Cobblers Cove sits in a private, tropical beach setting, one of the finest on the famous west coast of Barbados. Overlooking a breakwater, the clear, calm waters are ideal for a wide variety of water sports, from exploring the local marine life to some fast and furious fun. 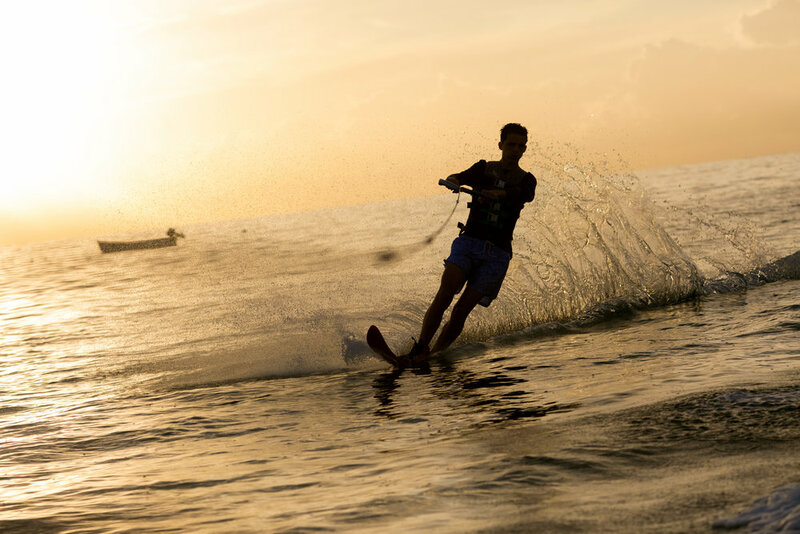 During your stay at the hotel, Cobblers Cove invites you to enjoy a complimentary lesson in water skiing, sailing and paddle boarding each day. The experienced water sports team, headed up by Bradley, would love to get you out on the water - just head to the watersports hut to book a session.